Alpha Omega…(the beginning and the end) Love the name!!! I have been a bit slack on reading the blogs I follow. So I apologize for that. 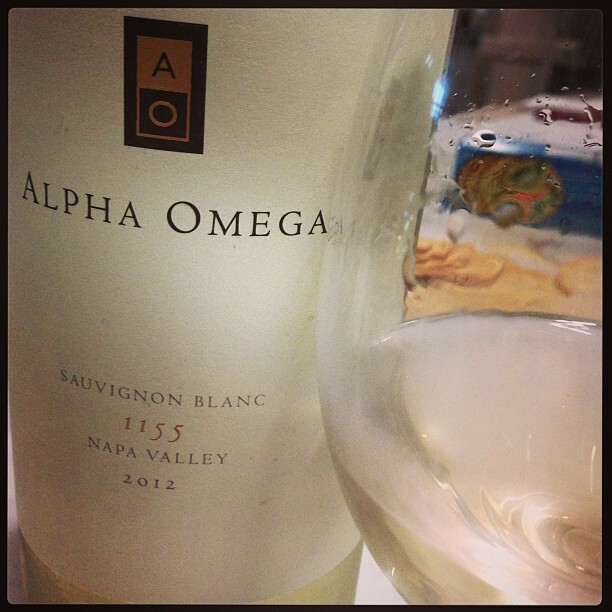 I sat down this morning to write about the Alpha Omega 2012 Sauvignon Blanc. I ended up reading through all the blogs I follow. Whew!! Veggie dishes, Beer, Wine, Plantations, Oysters, Sunday’s for Sebastian, Fried Chicken, and even Snow!!! I love reading all these blogs, and I know how hard it is to keep them up. I appreciate that. I realize I don’t write as often as I should but I do hope you enjoy the wine notes I do write. I sure enjoy writing them.